​Don't ever tell me soccer isn't a man's sport. All the haters out there will surely keep their mouths shut after seeing this brutal video. On Saturday, the USA and France are squaring off in a friendly ahead of ​next week's World Cup. 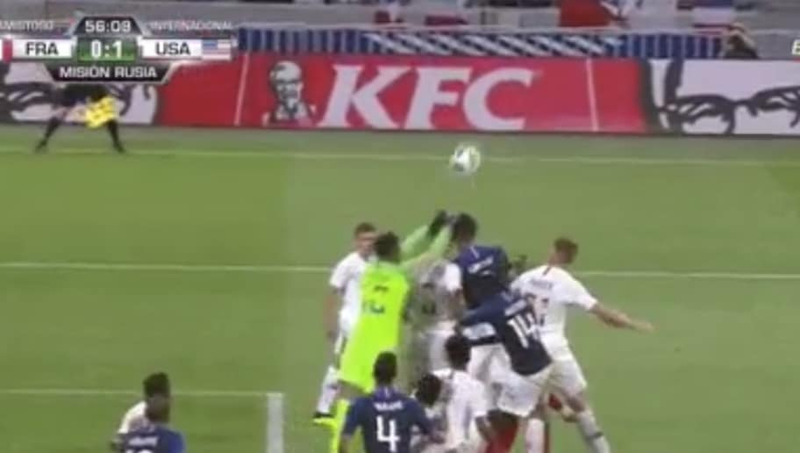 However, on a corner, USA defender Matt Miazga collided with French forward Olivier Giroud. The result? Tons of blood. Soccer can be pretty dangerous, just ask Olivier Giroud and Matt Miazga. ​​Both players went to make a play on the ball, and their heads ferociously connected with one another. As you can see, players on both sides immediately waived for trainers to come out and provide medical assistance. A lot of blood, no doubt. This just goes to show that even in friendlies, teams are ready to give their all to get a win. For the U.S., we all know they ​didn't qualify for the World Cup, but today's contest has given youngsters valuable experience. For France, they'll be hoping Giroud doesn't have a concussion. Having him miss any action in the World Cup would be a major blow for the nation.